First settled in 1630 by English Puritans, Cambridge developed as an agricultural town and was not really convenient to Boston until bridges were built over the Charles River in 1793 and 1809. The latter of these opened up East Cambridge for industrial development led by furniture and glass factories. A major influx of penniless Irish immigrants fleeing the potato blight in 1845 increased the Irish population to 22 per cent in the next ten years. Toward the end of that century they were followed by immigrants from Italy, Poland, Portugal, and Germany. French Canadians and Russian Jews also came at this time. A small African American population had been growing from colonial times, attracted by the integrated schools. The result today is a highly diverse population augmented and further diversified by brilliant men and women drawn to Cambridge over the years by Harvard, Radcliffe, M.I.T., and more recently by the local high technology companies. "Cantabrigians" (from the city's Latin name, Cantabrigia) are regarded as progressive and tolerant. As industrial activity moved south in the early 1900s, the Cambridge steamed forward on the power of its educators and innovators. Universities are the major employers, but cutting edge companies in information technology and biotechnology such as Akamai Technologies, Google, Microsoft, Genzyme, Biogen Idec, and Novartis are located adjacent to the MIT campus in the Kendall Square area. The liberal city sometimes referred to as the "People's Republic of Cambridge" now advertises itself as "a city where counter-culture still lives, classic culture thrives, and multicultural is a way of life." "Boston's Left Bank: A little funkier, a little spunkier and definitely spicier than Boston." Logan International Airport,, Boston. This is the closest option and is serviced by the MBTA public transportation. The Silver Line, a special bus route comes every ten minutes during the day, and every 15 minutes during the early morning and late evening. There is no charge to board the Silver Line at Logan Airport. It takes you directly to South Station (20 minutes travel time), where there is a free connection to the Red Line, which goes to Cambridge. Free shuttles also provide service to the Blue Line Airport station; one may take the Blue Line in from the airport to the Orange Line (transfer at State Street), the Green Line to the Red Line (transfer at Downtown Crossing), and the Red Line to whatever stop in Cambridge is closest. A taxi to Cambridge will cost you about $28-$35, including tolls and tip, and take about 15-20 minutes, depending on traffic. Manchester - Boston Regional Airport, , in Manchester, New Hampshire. T. F. Green Airport,, Warwick, Rhode Island. Amtrak  train service is available to nearby Boston from many east coast cities. Interstate 90 to Exit 18, or Interstate 93 to Exit 27, "Storrow Drive" to Monsignor O'Brien Highway (Rt. 28) to Cambridge. Route 2 comes into Cambridge from Interstate 95 to the northwest. Cambridge has a great many one-way streets and most streets and roads are not on a grid system. Drivers unfamiliar with the area are well advised to have a GPS device as one wrong turn can easily result in getting lost. The MBTA, , has local regional bus service. For intercity buses, see Boston. The main thoroughfares in Cambridge were laid out centuries ago to connect newly constructed bridges with busy squares. This is why it's possible to get directly from Lechmere to Harvard and Kendall to Central Square. Massachusetts Avenue runs along the spine of the city, connecting the Charles River to MIT, Central Square, Harvard, and on to the charming lowlands of Arlington. Memorial Drive follows the river on the southern border. To the north, Cambridge intertwines with Davis and Union Squares in Somerville to form a continuous urban fabric. If Kendall Square seems elusive, remember there are four or five: the intersection of Main and Broadway where the secondary entrance to the T stop and the Galaxy fountain are, the main entrance to the T stop which has a new courtyard, One Kendall Square which is the vanity address of an entertainment and office complex several blocks to the northwest, Kendall Street a few blocks to the northeast, and the greater Kendall Square neighborhood which encompasses all of these. Public transportation is provided by the Massachusetts Bay Transit Authority ("MBTA"), which serves the entire Boston Metro area (including Cambridge.) The local subway system is called the "T" and can take you to most points of interest. The T's Red Line has Cambridge stations in Kendall Square, Central Square, Harvard Square, Porter Square, and Alewife. The Green Line has one station in Cambridge: Lechmere. Directions are often marked "inbound" and "outbound", with reference to downtown Boston, where all four lines converge at four stops: State (Blue and Orange), Park Street (Red and Green), Government Center (Blue and Green)(Currently Closed), and Downtown Crossing (Orange and Red). The MBTA does not operate 24-hour service. Service begins for the day after 5.30AM and ends before 12:15AM on week-days. Week-end schedules are slightly different and do not open until 6.30AM on Sundays. Transport still runs for a short time after this — stated times are "first train leaves the station" or "last train leaves the station" — and thus, to complete the route, will actually be in service for as much as an hour longer or an hour before, but it is imperative to find out when last service is scheduled to the stations you need, and allot time for early or late arrivals. MBTA employees can offer information on scheduling, but are not always available at all stations. Communication between stations is complex and while significant changes will be announced, often T employees themselves are not informed of delays or minor changes. Bus stations that are not also subway stations are unstaffed. As of February 2012, subway fare is $2.50 and includes transfers between all four subway lines (Red, Green, Orange and Blue) and bus fare varies between $1.50 and $5 and also includes transfers. Fares are paid via a stored value ticket available in vending machines at subway stations. Fare is discounted if using the freely available reusable plastic pass, which can be obtained at Harvard Square station, 7-11 convenience stores or Star supermarkets. Information on fares, routes, delays and schedule changes is available at the MBTA's web site. Parking at the Alewife station on the Red line is ample and costs $8 per 24 hour period. Amtrak, the US national rail service, which departs from South Station, Back Bay Station, and North Station, all of which are in Boston. A taxi trip of a mile or less costs $5, excluding tip. Most of the major tourist areas will be a $10 to $25 fare. A trip to Logan Airport can cost up to $55, including tip, tolls and any waiting time. Flat rates are set for trips to Logan Airport from each hotel in Cambridge, which include all but luggage handling and gratuity. Taxis are abundant in Harvard Square and Central Square, with many being queued up waiting for fares. The places that they will queue are designated as cab stands by street signs. Taxis are less abundant in Porter Square and rare near Alewife and Lechmere. It is possible to signal a taxi from the sidewalk by waving an arm or a hand — a taxi cruising for fares is watching the crowds for this — and have it stop for you; however, taxi drivers from towns and cities other than Cambridge are heavily penalised if they accept passengers flagging them down on the street. This rule is not always rigorously followed, but taxi drivers from Boston, Brookline, Somerville and other towns will be wary of street pick-ups. Taxis are regulated by the Cambridge Licence Commission, which sets fares and handles complaints. Cambridge is perhaps the most bicycle-friendly city in the Greater Boston area and probably has the most people who use bikes to commute and just to get around. While there are few bike routes, most major streets have bike lanes, and many minor streets do too. Car drivers tend to be aware of bike riders and generally respect bike riders' right of way. All of these features make Cambridge the safest place to ride a bike in Greater Boston. Lock your bike when you park it! Bike thieves are skilled and quick. Be sure to lock your front wheel in addition to your frame, and your back wheel too if it is a quick-release. Hubway Bikes, . edit is a bike-sharing program that operates in much of the Boston metropolitan area, with pay-and-go bike rentals at all major city squares and MBTA stops. Very convenient for locals and visitors alike. African American Heritage Trail, . Twenty historic plaques across the city honor notable African Americans who were abolitionists, authors, educators, and office holders in Cambridge from 1840 to 1940. Mount Auburn Cemetery, . Yes, it's a cemetery. It just happens to be the first landscaped cemetery and in fact the first large-scale designed landscape in the U.S. The tower provides visitors with a breathtaking panoramic view of the cities of Boston and Cambridge, as well as the surrounding countryside to the north. The fact that it's the final resting place of some of the area's most influential figures (Sumner, Gardner, Eddy, and Longfellow) cements its status as a National Historic Landmark. MIT Museum, 265 Mass Ave. (Central Sq), Phone: +1 617-253-4444 . Has a huge collection of holography, a hall of hacks (practical physical jokes that get placed around the institute -- like the police car that once graced the top of the great dome is in the hall of hacks), plus rotating exhibits. Great hands-on exhibits for kids, including moving sculptures and a shadow room. Harvard Museum of Natural History, 26 Oxford Street, Phone: +1 617-495-3045 . Drawing from the University's vast natural history collections, the HMNH displays the famous Blaschka 'Glass Flowers' collection, dinosaurs (the world only mounted 42-ft. long Kronosaurus), minerals, meteorites, gemstones (a 1,642 lb. amethyst geode), and hundreds of 'stuffed' animals and birds. Fun for the whole family. It's an 8 minute walk across the historic Harvard Yard from Harvard Square (Red Line MBTA). Lectures & educational programs for all ages. Peabody Museum of Archaeology and Ethnology, 11 Divinity Ave. One of the oldest museums in the world devoted to anthropology, it houses one of the most comprehensive records of human cultural history in the Western Hemisphere. Busch-Reisinger Museum, 32 Quincy Street, Phone: +1 617-495-9400, . Devoted to promoting the informed enjoyment and critical understanding of the arts of Central and Northern Europe, with a special emphasis on the German-speaking countries. 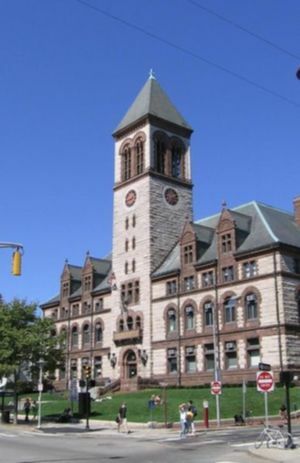 The Fogg Art Museum, 32 Quincy Street, Phone: +1 617-384-8310, . Western art from the Middle Ages to the present, with particular strengths in Italian early Renaissance, British pre-Raphaelite, and nineteenth-century French art. Arthur M. Sackler Museum, 32 Quincy Street, Phone: +1 617-495-9400, . Superb collections of ancient, Islamic, Asian, and later Indian art. Washington Elm, Cambridge Common at Mason St. On July 3, 1775, Washington officially took command of the Continental Army at ceremonies beneath the tree, which stood at the edge of the training grounds used by the troops. A small bronze plaque marks the spot. The history of the Washington Elm is included in the "Harvard Book" , the electronic history of Harvard and its surroundings. Longfellow National Historic Site, 105 Brattle St., Phone: +1 617-876-4491, . Washington made his headquarters here during the siege of Boston from July 1775 through April 1776. From 1837 until 1882, it was the home of poet Henry Wadsworth Longfellow while he taught at Harvard. The site's collections deal mainly with Longfellow, but there are some Washington letters as well. Double Decker Bus Company, CambridgeSide Galleria, Phone: +1 617-679-0031, . Yep, a piece of London in old Bean town. Charles Riverboat Tours, CambridgeSide Galleria, Phone: +1 617-621-3001, . Sightseeing tours on the Charles and Boston Harbor. Fresh Pond Golf Course, 691 Huron Av., Phone: +1 617-349-6282, . Public. Apr-Dec. 9 holes. Walk/Ride along the Charles River: +1. Cambridge has paved pathways for walking, biking, and skating along the Charles river. A pleasant walk would start at Kendall Square T-Stop (head towards the river and then head west) for about 2 miles until Kennedy Street. You will enjoy views of the river (sailing, rowing), and Boston skyline. At Kennedy street you may turn right and end up in Harvard Square. The Brattle Theatre, 40 Brattle Street, 617-876-6837, The Brattle shows the best in classic, cutting-edge, foreign, and art-house films. The Brattle Theatre has been operated by the non-profit Brattle Film Foundation since 2001. The American Repertory Theatre and The Zero Arrow Theatre, www.amrep.org, named one of the top 5 regional theatres in the U.S. by Time in 2003. Also shows student productions. Many visitors to Cambridge are there to see its two major universities, Massachusetts Institute of Technology (MIT) and Harvard University, either as tourists or as prospective students. Both universities have extensive information for visiting prospects. As this typically varies with type of student (graduate, undergraduate) and program of study (for graduate students), prospectives are best advised to visit the school websites that interest them. Massachusetts Institute of Technology, 77 Massachusetts Avenue, Phone: +1 617-253-4795, . At MIT's main entrance. Tours leave weekdays at 10:45AM and 2:45PM. The Kendall/MIT T stop is on the edge of the MIT campus. The main entrance is at 77 Massachusetts Avenue. The main photo opportunity is in Killian Court off Memorial Drive, under the Great dome - toward which no students will swarm, Good Will Hunting notwithstanding. Harvard Events and Information Center, Holyoke Center Arcade, 1350 Massachusetts Avenue, Phone: +1 617-495-1573, Fax: +1 617-495-0905, . Student-led free tours of campus originate from here. It also has interactive computer displays, a print library, a video room, and you can pick up flyers for all of the free lectures, films, and classes at University museums, such as the Harvard Museum of Natural History, and the Harvard Art Museum. Harvard Yard, located right by the Harvard stop on the Red Line subway, is the center of Harvard College and a favorite of tourists, who can often be seen taking pictures of each other at the statue of John Harvard, located in front of Massachusetts Hall. You'll also find the Business School across the Charles in Allston and the Medical School with its own spectacular marble quad the Longwood Medical Area in Boston. In the shadows of these two giants are other fine schools. Lesley University, 29 Everett Street, Phone: +1 617-868-9600, . Hult International Business School, 1 Education St., Phone: +1-617-746-1990, . The Garment District  Home to $1.50/pound clothes where you can sift through piles of randomness. The other parts of the store include a vintage/mid-end designer consignment store and women's shoes in man's sizes. Oona's, 1210 Mass Ave. +1 617-491-2654. Decent selection of vintage clothing for men and women. Accessories selection is very good. Raven Books, 23 Church St, . Incredible selection of used scholarly books, including philosophy, gender studies, cultural studies, and art. Clean, well-organized independent shop run by very helpful people. Revolution Books, 1156 Massachusetts Ave, +1 617 492 5443. Ready for the revolution? Marxist, Leninist, and other Communist literature on sale here. Tiny space. Be ready to chat with whoever is working. Harvard Book Store, 1256 Massachusetts Avenue. Independent shop, nice and cozy, has a wide selection, and has interesting staff recommendations glued to the book stalls. Used and remaindered books are located downstairs. The Harvard Coop. Official bookstore for Harvard which boasts a huge selection (four stories) of academic and general books. Run by Barnes and Noble. Located at 1400 Massachusetts Avenue, right across from the main exit of the Red Line Harvard Square T stop. Porter Square Books. Independent book store in the Porter Square Shopping Mall, and also the home of Cafe Zing. Grolier Poetry Book Shop 6 Plympton St, +1 617 547 4648. Tucked away on a side street in Harvard Square, the "the oldest continuous poetry book shop in the United States." Small but jam-packed with wall-to-wall poetry, criticism, and spoken word audio. Abodeon, 1731 Massachusetts Avenue . Between Harvard and Porter squares, features an incredible and unique assortment of Danish design, Finnish glassware, vintage American kitsch, and contemporary furniture. CambridgeSide Galleria, Edwin Land Blvd. (Lechmere T stop or free shuttle from Kendall), Phone: +1 617-621-8666, . M-Sa 10AM-9:30PM, Su 11AM-7PM. From Abercrombie to Yankee Candle, a thorough mall experience. Leavitt & Peirce, 1316 Massachusets Avenue, +1 617-547-0576. An amazing array of cigars, chess, and game sets. A small selection of "old fashioned" razors and jewelry is also available. Museum Shop, Harvard Museum of Natural History. Minerals, geodes, jewelry, natural history books, toys, games, men's ties. A great choice for the unusual. With a dizzying array of options, and slightly less stringent liquor laws, Cambridge is every bit as much a dining destination as Boston. Many restaurants cluster around Harvard and Central Squares. If you're willing to stray a bit beyond the subway stops (and you should be), you'll quickly discover many less-travelled neighborhood gems. Mr. Bartley's Burger Cottage, 1246 Massachusetts Av. (Harvard Sq. ), Phone: +1 617-354-6559, . M-Sa 11AM-9PM. A Harvard Square landmark, Bartley's serves practically any kind of hamburger you can imagine, most named after individuals. A favorite - The Ted Kennedy - "a plump, liberal amount of burger with cheddar cheese, mushrooms, cole slaw and french fries." Owners/Menu leans right to the dismay of many customers. $10-15. Emma's, 40 Hampshire St. (Kendall Sq. ), Phone: +1 617-864-8534. Tu-F 11:30AM-10PM, Sa 4PM-10PM. This cozy little pizzeria stands out for two reasons: Unique and sometimes bizarre topping combinations (like the house-smoked bacon pizza with roasted gold potatoes, cilantro and dried cranberries) will make you rethink what makes a pie. And, more importantly, the pizza here is actually good -- the crust is thin and crispy, the sauce is flavorful, and the cheeses are fresh and melt just right -- quite a feat considering what typically passes for pizza in the Boston area. $8-15/$11-18 (small/large pie). Midwest Grill, 1124 Cambridge Street, Phone: +1 617-354-7536, . Su-Sa 11AM-11PM. Brazilian churrascaria served rodízio style - affectionately called a "meat faucet." Waiters bring skewers of meat (beef, pork, bacon-wrapped chicken, lamb, sausages) and garlic bread around the dining room and slice desired portions at your table until you tell them to stop. Salads are available buffet-style, and are included in the price. Drinks are extra, but their caipirinha (Brazil's national cocktail) is well worth it. Lunch/Dinner - $13/$20 (all you can eat) plus drinks. S&S Restaurant, Inman Square 1334 Cambridge Street, Phone: +1 617-354-0777. Everything is on this menu from deli to delicious entrees. Prices are reasonable. Restaurant hours are M-W 7AM to 10PM, Th-F 7AM to 11PM, Sat 8AM to 11PM, Su 8AM to 10PM and breakfast is served all day long. S&S wings are quite popular. Zuzu, 474 Massachusetts Av. (Central Sq), Phone: +1 617-864-3278 x237. 5:30PM-11PM nightly. This is a middle-eastern Tapas joint, which serves pretty good food at reasonable prices. Bondir 279A Broadway +1 617-661-0009 Mon-Sun 5-10PM. Bondir is a cutting edge New American restaurant in a cozy space nestled in a residential neighborhood. Oleana, 134 Hampshire St. (Inman Sq. ), Phone: +1 617-661-0505, . Su-Th 5:30PM-10PM, F-Sa 5:30PM-11PM. Oleana's inspired and exquisite offerings span the Mediterranean from Spain to Turkey and Armenia to North Africa, yet everything comes together superbly. Vegetarian prix fixe ($38) includes 5 mezze and dessert. Omnivorous entrees $21-$25. Or come just for dessert to sample their exceptional baked Alaska with coconut ice cream & passion fruit caramel, $10. Bukowski Tavern, 1281 Cambridge St. (Inman Sq. ), Phone: +1 617-497-7077. They have a menu of beers with pages and pages of choices from around the world. Cambridge Brewing Company (aka CBC), 1 Kendall Square, Phone: +1 617-494-1994. This place brews some of the best beer around Cambridge. They have a wide variety of choice and it changes depending on the season. This place is very popular among MIT community members and tech companies close by. Miracle of Science, 321 Massachusetts Ave. (Central Sq. ), Phone: +1 617-868-2866. Popular with MIT grads and professors and local tech company programmer types. Muddy Charles Pub, Walker Memorial @ MIT. If you could pass for an MIT grad student, this on-campus pub features cheap beer and a watering hole that helped inspire countless ideas, prizes and inventions. Find brilliant scientists, designers, engineers and one or two Nobel laureates. People's Republik, 876 Massachusetts Av. (Central Sq. ), Phone: +1 617-492-8632. Decorated with Communist propoganda posters, this bar is quintessential Cambridge. Plough and Stars, 912 Massachusetts Ave. (Central Sq.) Another sorta Marxist bar down from People's with excellent live music. The Cantab Lounge, 738 Massachusetts Ave. (Central Sq.). A Cambridge staple since the early days of the American folk music revival. Small, old-school feel with live music 7 nights a week, focusing heavily on American roots music. The Cantab hosts a folk music open mic on Monday nights and jams other nights, as well as small- to medium-sized acts every night. A must for those interested in the Boston folk music scene. A Bed & Breakfast in Cambridge, 1657 Cambridge St., Toll free: +1 877 994-0844, Phone: +1 617 868-7082, . Located just two blocks away from Harvard Yard, this b&b is noted for its simplicity and attention to detail. Rooms are decorated in a charming colonial style and the room rates are reasonable. 5% of all proceeds go to the Cambridge Action Fund, a nonprofit that helps the Cambridge homeless. Antrim House Bed and Breakfast, 16 Antrim Street, Phone: +1 617-491-5677, (Fax: +1 617-491-4055), email: [email protected], . Family run guesthouse that offers a garden studio fit for two people only. Innkeeper is also a Reiki master, so be sure to ask her for a demonstration. Harding House Bed and Breakfast, 288 Harvard St., Phone: +1 617-876-2888 Toll free: +1 877-489-2888 (Fax: +1 617-497-0953), . This 1860's Victorian house is a refreshing alternative to chain style hotels. Offers 14 private rooms complete with full ensuites and kitchens. Weekly and monthly rates available. Irving House Bed and Breakfast, 24 Irving St., Phone: +1 617-547-4600, Toll free: +1 877-547-4600 (Fax: +1 617-576-2814), . Friendly staff ensure that your stay at the guesthouses here are comfortable and amiable. A full continental breakfast is provided each morning, as well as 24 reception and high speed internet access. Lotus Place at Harvard, 208 Prospect Street, Phone: +1 617-201-4528 (Fax: +1 617-663-6284), E-mail: [email protected], . $120-$200. The location and price is unbeatable. The rooms are large and comfortable, and it's less than a 10 minute walk to Harvard Yard. Kendall Hotel, 350 Main St., Toll free: +1 866 566-1300, Phone: +1617 577-1300, . An old firehouse turned into a cozy hotel. Mary Prentiss Inn, 6 Prentiss St., +1 617-661-2929, . Historic hotel with 20 furnished rooms serving made-to-order breakfast every morning. Residence Inn Boston Cambridge, 6 Cambridge Center., Toll free: +1 617-349-0700, . Located in Kendall Square near MIT. Boston Marriott Cambridge, Two Cambridge Center, 50 Broadway, Phone:+1 617-494-6600,  The Marriott Cambridge Hotel is located across the Charles River from downtown Boston and is ideally positioned in Kendall Square near popular Boston area attractions. 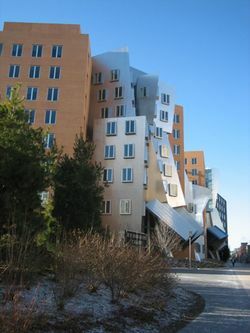 Doubletree Hotel at MIT, 20 Sidney St., Phone:+1 617-783-0090, . The Doubletree Hotel is no doubt influenced by the high technology around it and is one of the most state of the art hotels in the country. It features a distinctive, technology-influenced décor, as well as high speed internet access and a well equipped business centre. The Sheraton Commander, 16 Garden Street, Phone:+1 617-547-4800, . The Sheraton Commander has long been a landmark amongst the Cambridge community. With a quintessential location adjacent to Harvard Square, guests can explore Cambridge and have easy access to downtown Boston. Cambridge is generally very safe, though it is a city and the standard precautions should be observed. The neighborhood of East Cambridge, which is near the Charlestown border and on the Charles River, usually has the city's highest crime rate (of course, this observation is relative to the Cambridge's low crime rate overall). As a rule, most crime in Cambridge that might affect a traveller is property crime. Parked vehicles with electronic equipment visible — laptops, mobile phones, GPS units, iPods, and the like — are the most likely to be targeted. Pepper spray is considered a weapon in Massachusetts, and is sold only by licensed dealers to persons who have obtained a firearms identification card. Out-of-state visitors should be advised that Massachusetts does not honor firearms licenses from other states. For more information, go to the Cambridge Police Department's website . Boston is just across the Charles River from Cambridge. Historical Lexington and Concord are nearby. Many other New England destinations are an easy car ride away.